Engage PwDs, social innovators and change makers in the co-creation of an inclusive society. Develop practical prototypes/ innovative solutions for identified challenges of participants with disabilities. 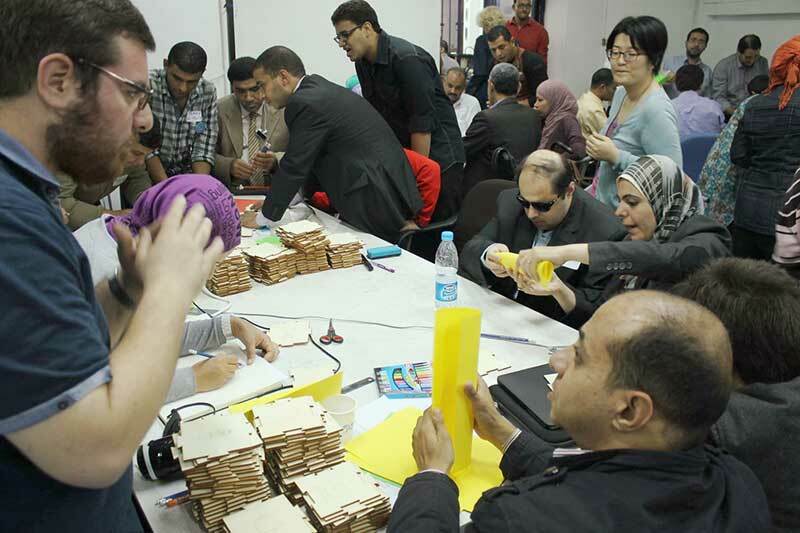 To this end, the workshop brought together PwDs, their carers and members of family, designers and technicians in the highly creative environment of the FabLab Egypt. 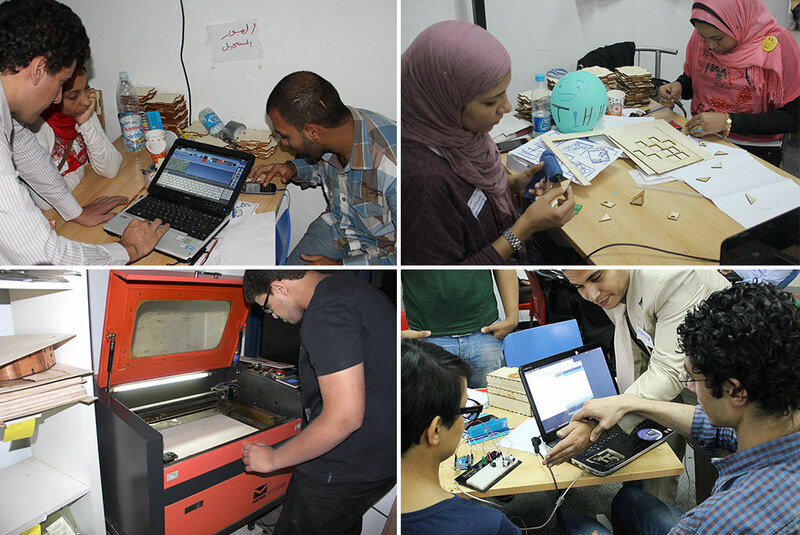 In addition to supplying the space, FabLab Egypt also provided very able technical specialists. Janine Huizenga and Andrew Bullen from The Creative Cooperative facilitated the workshop, with the support of Marcel Schouwenaar and and Harm van Beek from The Incredible Machine, the UNDP staff from Cairo and Katuna Sandroshvili from UNDP Georgia. In such a workshop, an essential aspect of the methodology is to avoid any focus on the PwDs as “victims”, as may be an inherent risk with methods such as the Living Library. The stories of the PwDs are of course essential to the creative process, but only when seen together with the perspectives of the other participants, representing also an interested, but non-disabled viewpoint. It is in this way that a truly CO-creative, shared, integrated and therefore sustainable social solution is achieved. Despite the organisational challenge, it is very useful to have the opportunity to select participants carefully in advance to achieve a good balance between PwDs, their families and carers, committed designers and technicians. This enables the optimum chance of developing both highly relevant concepts and prototype solutions within the relatively short time span of the workshop. In such a workshop, it is advisable to limit the length of the introductory speeches, and even the opening remarks about design thinking, to the highly essential and relevant for that particularly group of participants. The varied group of participants have come together for a very specific purpose – to identify the main challenges and create solutions for PwDs in society. In this context, it is wise to move relatively quickly into hands-on creative and “acquaintance” session. The workshop began with an introductory greeting on behalf of UNDP Egypt by Gazbee Sorour, a short opening address by a PwD representative, and a brief introduction to the aims, principles, premises and facilities of the FabLab. Creative Cooperative then briefly introduced themselves and the other team members from the Incredible Machine. The introductions ended with an overview of the intensive agenda for the coming three days. 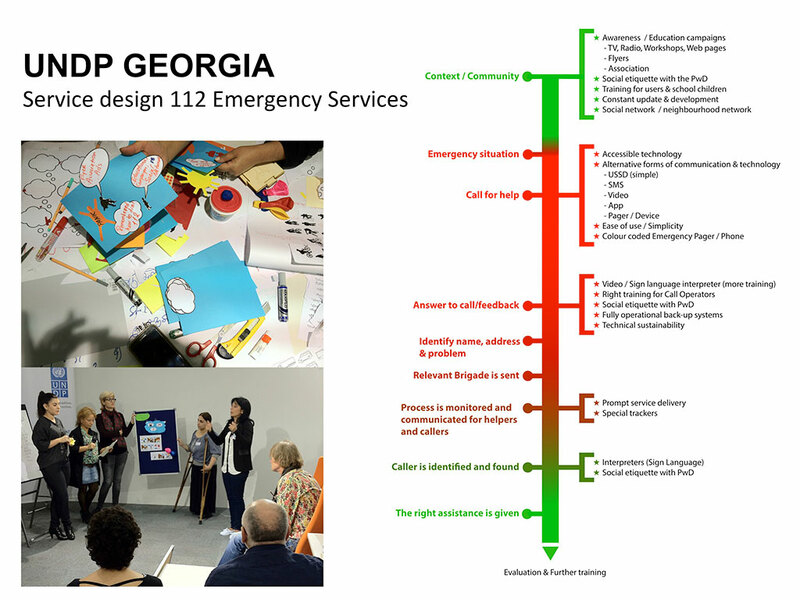 The principles and process of Design Thinking were well illustrated with practical examples such as Waag Society’s Story Table for elderly citizens, the Blue Eyes application developed by faberNovel in Paris to help guide the visually impaired in the Metro, and both the process and the results of the Georgia UNDP workshop “Access to 112 Services for the Speech and Hearing Impaired” held in Tbilisi a few weeks earlier. During the prayer break, the participants were divided into five separate groups. The basis for the groups was an optimum mix of the various stakeholders and specialists. The division was therefore made according to the following criteria: (i) grouping of disabilities according to physical disability, sight impairment, and speech / hearing impairment (ii) family or carers (iii) technical specialists (iv) design and other specialists. 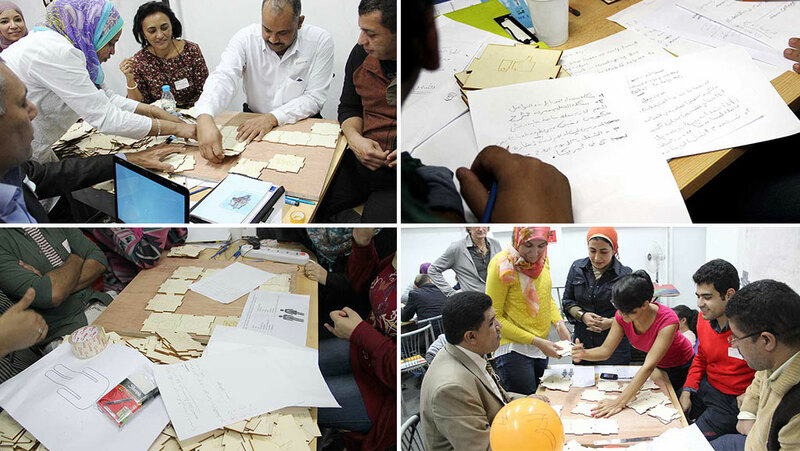 Now divided into diverse groups, the participants were ready for the “Out of the Box” collaborative creativity session. The function of the “Out of the Box” Group Creativity Session is to allow the individual group members to get to know each other, whilst at the same time inspiring creative and collaborative group work. In this particular session, each group had to devise an ingenious “circuit” through which a hair-dryer would blow a ping-pong ball. As the ball was finally delivered through the circuit into the the group “goal”, a contact was made with the next group, setting in motion their hair-dryer and ping-pong ball. The whole process was then repeated through the next group’s created circuit. The informal prize for the most “ingenious” circuit was awarded to the Cannon team. After the “Out of the Box” group creativity session, the workshop paused for lunch. Following lunch, all the groups moved on to the “Identifying the Challenges” session. The groups then came together to draw up a “composite or integrated” day in the life narrative of a PwD, illustrating the issues and challenges faced on a daily basis by PwDs. In building the narrative, the groups were asked to create the “Persona” of a character. This persona should embody their own experience and will eventually form the basis for the creation of their solutions. In building the narrative, the group could also make use of the wooden “puzzle pieces”, icons to facilitate the rapid and easy “hands-on” construction of the stories. The groups then presented their day in the life narratives, with the support of posters and the puzzle pieces (see below). Immediately after the presentation of the narratives, the groups moved on to the “Value Ladder” session. The Value Ladder is for the Creative Cooperative an essential part of the participatory creation and design process. If people with very diverse perspectives and experience are going to work together towards a shared goal, they must share common values with regard to their creative aim, which is, in this case, the creation of optimum sustainable tools, applications and solutions for PwDs. The values of the individual team members with regard to optimum solutions for PwDs were combined and negotiated within the group until a final agreed “top” five values or criteria were attained. These values or criteria should, if possible, be arranged in order of priority, and serve as a “touchstone” for the different groups to check back on the “authenticity” of their solutions during the creation process. “A person with a physical disability faces many problems, for example, that the school and other buildings are not accessible. Every day, the “persona” (male) would think about the problems he is currently facing and what life would be like when he grew up. At every stage of his life, he kept facing the same problems: the way people looked at him and treated him at work and at school. His ideas and thoughts were always a central part of his life; consequently, he was always looking for solutions to the challenges. Eventually he got married, but constantly worried about the future. He became an expert in disabilities. He started writing books about disabilities, and he collected a lot of information. One of his main focus areas was the Disability Industry. This branch of industry is mainly addressed by NGOs and other such organisations, but it is not really addressed by policy makers and governments. He then decided to travel to a lot of developed countries to collect knowledge on how they used ICT to solve their problems in providing facilities and accessibility for PwDs. When he came to this workshop, he discovered one main challenge: When he needed to go to the bathroom, he could not! “My name is Samir. I am 22 years old, I am a student and I am deaf. This morning, I woke up, exercised, and completed my morning routine. The metro was very crowded. I got a phone call, and I had to use the video call in the middle of the metro. People very were surprised at the way I was talking. I got to university, and I was the only one that could not speak. The professor was speaking too quickly and I could not follow the lecture. Unfortunately, no one was writing down what he was saying. Anyway, I was looking for a job, especially as there is a policy for a 5 percent quota of employees who are disabled. However, every time I went to the government, I did not have a chance. I went home very upset and frustrated because of all these challenges that I face on a daily basis. I was always thinking about the future: Would it be possible to have a way out, where there is a universal sign language so that everyone can understand me and I can communicate with my community? The presentations of the identified challenges and the group’s solution values ended the first day of the workshop. Building on the insights and empathy gained through the prior steps, each group brainstormed possible solutions to the identified challenges. On this basis, the groups created a new storyboard/ narrative, which offered concrete solutions. In building the narrative solution, the groups again made use of the puzzle pieces. The groups then presented their new “solution” scenarios, and received feedback from the facilitators and other group members. After the groups presented their “solutions for life in the future”, they moved on to the development and prototyping phase. First, a short presentation was made to explain why prototyping is a useful step in the design process. This presentation also provided focus for the upcoming prototyping process. From a methodological perspective, an essential step too was to draw up a six-panel storyboard describing in a narrative sequence how a solution is developed from the current to the future situation. In order to be of practical relevance, the six-panel storyboard presentation included a direct example taken from one of the participating groups (Group 2: Cannon). This was a strategic decision, as this particular group had many ideas and several people with very articulate opinions. It was therefore important to promote “structure” within their project development. After the presentation, all the groups began to discuss the structure and content of their own six-panel storyboard. Within an hour, each of the groups had its own structured storyboard. Meanwhile, the facilitators investigated the various types of group prototype (storyboard, movie, mockup, working model, campaign) and briefed the FabLab team on how they could help each particular group. The FabLab team members had distinct skills; these skills were consequently matched with the needs of the individual groups. Every group had at least one FabLab team member, and a designer, at its disposal, while the facilitators were free to move around from group to group, as needed. 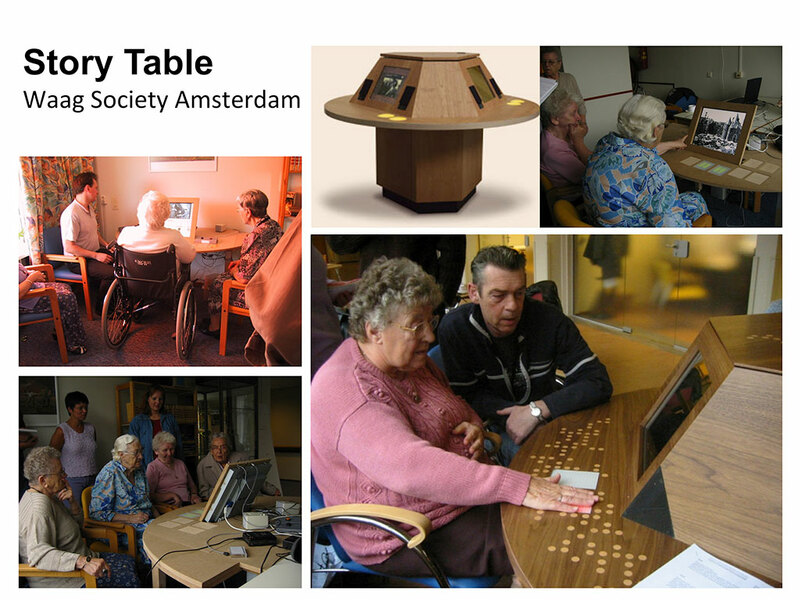 With a shared language, the local FabLab team could discuss and work quickly with the participants. The final presentations were made before a jury of industry experts, who played a critical role in the development process by evaluating the creative work of the participants, providing industry perspective and insight into the strengths and weaknesses of the solutions, and proposing areas of focus and improvement in order to make the solutions and applications realistically viable. “I tried to go to the bathroom here (at Fab Lab Egypt). I am in a wheelchair, and I found it extremely difficult to access the bathroom. So I thought: How can I make this place accessible for persons with disabilities, without getting help from anyone? How can I achieve complete independence? This was the driving force for our eventual solution. The main concern was how to maximize the space + cost-effectiveness. The solution could be to break down the walls and widen the door but instead, we decided to build a sliding door within the already existing infrastructure. There would be an electronic button from the inside and outside that would open the door and make it slide sideways. We found that, by simply moving things around in the bathroom you can make more space. This is an approach worth exploring. “For persons with a physical disability, pavements are the main problem in streets. We decided to address this issue. The main problem is the absence of ramps. We therefore created a mobile app, which allows a person to send his or her location to a server, using GPS. The app then alerts the system that a ramp is needed in that specific area. Civil society groups, government, the private sector and individuals could be alerted by this app as to the location of inaccessible pavements and streets and be motivated to provide the necessary ramp. In order to succeed, the project would therefore need both the creation of a reporting app, and a support campaign to create awareness and motivate volunteers to support the ramp provision process. Independence, accessibility, communication, exclusion and segregation, navigation + transportation, information which is which unattainable through touch such as identifying colors, text, or currency type (bank notes), and existing solutions which are only available in English and which need to be translated into Arabic. The situation is as follows: “Here is a blind person. He is happy and thinks that everyone loves him but unfortunately, in reality, they do not give him a chance or real opportunity because of his disability. Communication with his surrounding community and environment is very difficult. In addition, nothing is designed in such a way as to facilitate access and communication using his sense of touch and hearing, especially with regard to writing, reading and support technology. These factors mean that he has no real work opportunity”. He cannot see, but he does have a lot of other senses. He has two “big” ears, a mouth, and skin for touching, all highly developed senses. Just by the “feeling” of the air around him, he knows whether someone has left or entered the room. He has a highly developed body that allows him to move and a highly sensitive brain, with which to think. The group developed the concept of a mobile app (hardware and software), which processes images and uses sound. This device uses ultrasonic and proximity sensors in order to calculate the distances between users and objects in their surroundings. The closer the user moves towards objects, the louder the buzzing sound becomes. Such a device would therefore help users to avoid “bumping” into obstacles. The device is connected to a simple mobile app to enable the transmission and reception of data. The users takes a picture, for example, of the street, or of the bank note to be identified, and then uploads the image to the target web-site. The server processes the image and then sends feedback to the user. The server can recognize images and responds with the support of text/speech recognition technology. Interaction with the user follows, using voice commands integrated with an artificial intelligence system. The prototype has a “sensing” range of up to a distance of 80 cm. 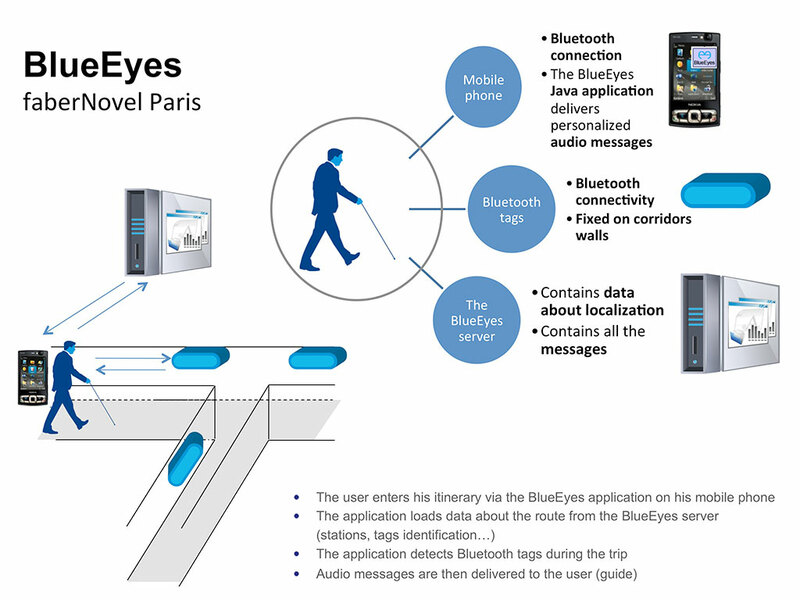 The group prototype developed the concept of software for the visually impaired which would enable them to access any at present inaccessible computer programs/software, and therefore enable any blind person to work in any company. The solution would meet an urgent need, as, at the moment, not all software is compatible with the screen reader for the visually impaired. “The hearing-impaired team members are making this presentation, but our goal is that next time, sign language will be displayed in the background so that everyone who understands sign language will be able to understand them”. The group decided to create a campaign to raise awareness around sign language. In this way, the aim was to create real communication between the hearing impaired and the surrounding communities. “First of all we will start with a mass media campaign. There are a lot of universal signs in sign language – so we chose the ‘I love you’ sign. The first phase of the campaign is the production and distribution of posters. However, the idea is not just to have posters, but rather to find different methods of reaching people. For the second phase fo the campaign, we thought of a prototype which could motivate people to learn sign language. This “service” would be available in public spaces. Gamification would play a key role. The proposed solution is as follows: A screen is placed within a free-standing column in a public place. Above the screen is a sculptured hand, making the “love” sign. This screen has an in-built camera. The camera allows the user to see himself or herself . The user presses one of the “sign” buttons, the sign is displayed, and the user tries to imitate the sign. The system detects the movement. If the sign is imitated correcty, the user is informed, and gains a point. Similarly, if the sign is imitated incorrectly, the user loses a point. Through this method, the user is encouraged to learn about sign lanuage by game-play. Obviously, there is a very wide target audience through the use of such a public game. The screens could also be placed in schools and other such public institutions. The third part of the concept envisages a social media campaign. Instagram could be used to showcase short video clips, displaying different signs. The Design Thinking Workshop is the start of long creative and production process. Thanks to the excellent support of the UNDP staff, GESR and TIEC, the workshop participant groups now have the opportunity to follow-up the development work on their workshop prototypes, with the assistance and collabortation of top creative industry professionals. The workshop demonstrated that fusion between users, designers, technicians and policy makers can bring outstanding results when this is placed with the right context and organisational framework. The preparations for the event were excellent. Particularly, the rigorous selection procedure resulted in the right people coming together from the various diverse groups of stakeholders. This had a significant impact on the quality of the teams on the overall workshop process. 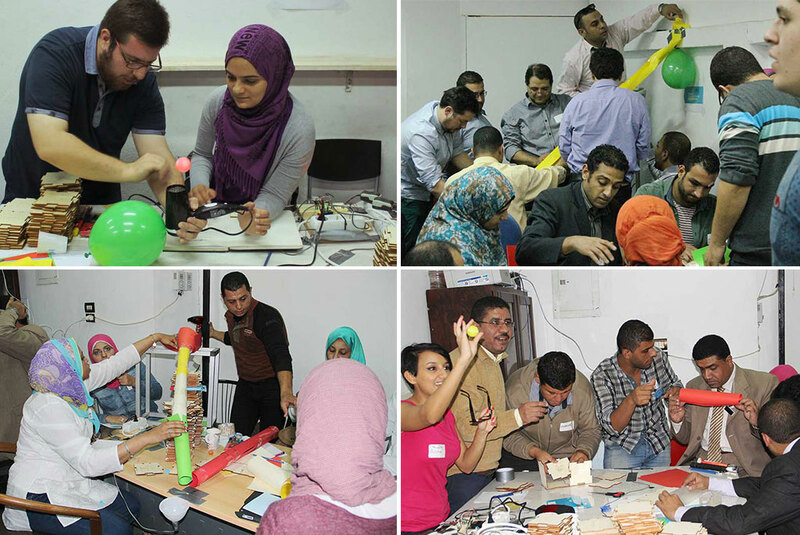 Though limited in overall dimension, the Egypt FabLab proved to be a good creative space, and an effective combination of technology, experts and supporting facilities. The FabLab members had just the right “can do” attitude and enthusiasm for such a creative event. This again shows that the quality of the hosting facility can significantly influence the creative quality and outcome of the whole event. The commitment of all the participants, whether from the disabled community, carers, technicans, designers or other experts was outstanding. They sacrificed their week-end free time for participation in the workshop. This commitment and dedication was an important factor in the overall success. In such a workshop with marginalized and vulnerable groups, it is critically important to gain their confidence and trust at an early stage. This is without doubt achieved by involving them actively in the collaboration, and “listening to their voice” as soon as possible in the process, making them aware that they are the real experts and leaders in the creative process. The UNDP Social Entrepreneurship Accelerator ran from 17h to 19th October at the WTC in Cairo. Creative Cooperative was particularly focused on the first two days of the event, with an initial user-centred” design-thinking” approach, leading into a strongly business-model session, led by Anthony David. Sixteen start-up teams participated in the accelerator, with a wide range of social and business focus, from online educational programs and voluntary overseas work through community initiatives and support for the disabled to solar energy and the medical supplies industry (and more). After the introduction and some initial consideration, we began the session with the ice-breaker “Fabulous Beasts”. Some consideration – because we were not sure whether the “Fabulous Beasts” approach would be considered inappropriate for such a business-oriented event. We need not have worried – such an imaginative and playful approach seems to be particularly successful in such a “serious” setting. As opposed to the previous workshop experience in Cairo, participants in the some of the participants in Social Entrepreneurship workshop has problems with the idea of the creating a persona for the ensuing narrative of their “user”. Generally, the issue seemed to be related to the fact that they were unused, or enable, to focus on “a user” or “the user” of their product or service, rather preferring to claim a broad spectrum of diverse users. This is an interesting issue to follow: it’s possible to have an idea for a product or service, but it takes more imagination, understanding and insight to conjure up the every-day life of a “real” person who needs or aspires to use such a product or service. This, we would claim, is one part of “humanizing” the product or service design process. After mastering the defining the persona, the participants moved on to the “day in the life” exercise. Again, understanding of the use of the icons initially caused problems for some of the participants. However, as has generally been the case in Egypt, the ease of narrative building, using the icons, quickly became apparent. The first day ended with the narrative of the future scenario for the use of the respective products or services of the teams, again with the support of the icons. By now, the participants had really begun to understand the benefits of future “story-telling” for their products or services. The second day started with the presentation of the future scenarios, then moved on to a new experience for us: the introduction of the People Value Canvas (PVC), and the translation of the insights gained within the previous exercises into the value proposition on the canvas. On the whole, this exercise (the first of its kind, as far as we know) worked very well. For each of the products or services, the teams filled in the areas “people, needs, characteristics, motivations, context, technology, processes, experiences, effect”. The presentations of the respective PVCs produced some highly impressive value propositions; the eloquence and power of the PVC of Mfundo from Swaziland remain strong in our memory. We then handed over the main facilitation of the workshop to Anthony, who continued with a strong-focus on business-related aspects of development. The subsequent translation of the value proposition elaborated in the PVC into the classic Business Model Canvas (BMC) went smoothly. The workshop ended on the afternoon of the third day, with final presentations and the selection of a number of the start-ups to enter into the next stage of pre-selection for a working and networking visit to the Malaysian incubator. The main observation from the Social Entrepreneurship Accelerator has to be concerning the use of our Design Thinking approach, together with the PVC, and the integration of the results into the “classic” BMC process. This worked demonstrably, and encouraged us to develop this “Social Entrepreneurship” support tool further.